Colorado College welcomed 491 first-year students and 22 transfer students at its Opening Convocation on Sept. 5, which marked the beginning of CC’s 138th academic year. 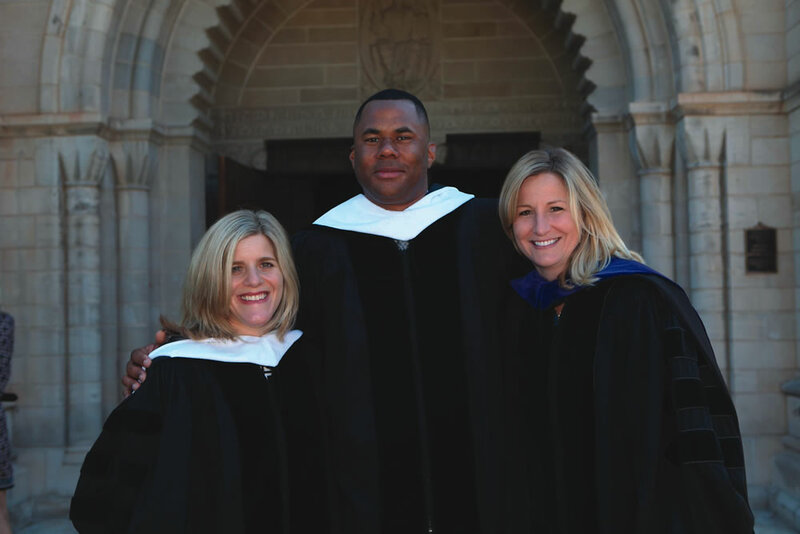 Receiving honorary degrees at Opening Convocation are Kim Simon ’92, Ryan Haygood ’97, and Susan Patrick ’92. Photo by Tom Kimmell. 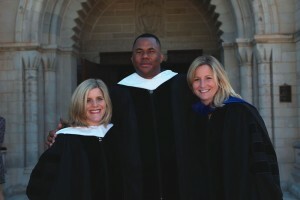 Ryan Haygood ’97, co-director of the Political Participation Group at the NAACP Legal Defense and Educational Fund (LDF), gave the keynote address, titled “For Such a Time as This.” Haygood, Susan Patrick ’92, a national leader in online educational learning, and Kim Simon ’92, managing director of the Shoah Foundation Institute at the University of Southern California, were awarded honorary degrees. Students who speak 30 different languages, including Tamil, SiSwati, Malayalam, and Tagalog. 46 editors of student publications, 16 student government presidents, 31 service organization leaders, 195 varsity team captains, seven junior Olympians, and 90 heads of school groups, ranging from Hip-Hop Freestyle to Athletes for Afghanistan. A world-class dressage rider, two nationally ranked rock climbers, and an individual who placed second at the World Series of Birding. 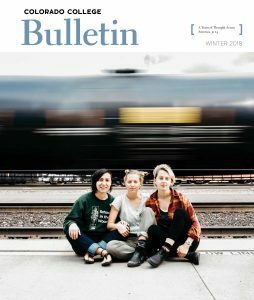 A member who started a music blog that receives more than 250,000 hits a month. Two members who have professionally recorded music albums. First-year and transfer students participated in a week of orientation activities, which culminated in 54 community-service trips throughout the Southwest. The new-student orientation trips were led by student leaders and included opportunities in the backcountry for trail maintenance and campsite restoration work, as well as volunteer work at animal shelters, charter schools, museums, and emergency food and shelter sites. Together, incoming students and student leaders contributed 10,000 hours of volunteer service to organizations throughout the Southwest – before the first day of Block 1.